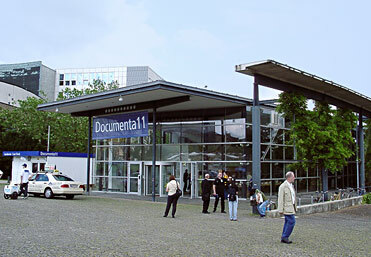 The first, and up to now only exhibition venue specifically constructed for the Documenta was designed by the architects Jourdan and Müller, and was inaugurated in 1992 for Documenta IX. It includes 1,400 m² for the exhibitions themselves, as well as ca. 700 m² for offices, cafeteria, repository, etc.During the Documenta off-season, the space is used for temporary exhibitions, conferences, celebrations and other events.